It was far from pretty, but sometimes pretty doesn’t matter. Washington got two touchdown passes from quarterback Kirk Cousins and the Redskins defense held the hapless New York Giants to just 170 yards of total offense in a 20-10 Thanksgiving Day victory. The Redskins were tested all game long as Cousins and the Redskins’ offense produced all of one field goal in the first half. In fact, the Giants and Redskins combined for nine punts and just six points in the opening half of play. The winners’ first-half scoring drive consisted of 38 yards. The big play on the drive was a 37-yard pass interference penalty. That gives you an idea of how lethargic the offenses were in the first half. Find a way they did. Cousins would locate Jamison Crowder on a 15-yard scoring strike in the third quarter to give Washington a 10-3 lead. The eventual game-winner came on a 14-yard toss to last year’s first-round pick WR Josh Doctson with 3:31 left in the game. A Nick Rose 33-yard field goal with 1:49 to play provided insurance. The Giants’ lone touchdown also came on a Cousins’ pass, one that Janoris Jenkins intercepted and returned 53 yards for a score late in the third quarter. The 53 yards on Jenkins’ return were more than the Giants’ entire offensive output of the second half. Head coach Ben McAdoo’s offense gained 47 yards and exactly one first down in the final two quarters of play. Rookie running back Samaje Perine gained 100 yards on 24 carries and Crowder had game-highs in receptions (7) and receiving yards (141). The 84 rushing yards allowed and the four sacks of Giants’ QB Eli Manning are steps in the right direction for a Redskins defense that is far from where it needs to be. Defensive coordinator Greg Manusky needs his unit to be equally sharp this coming Thursday when the Redskins travel to AT&T Stadium to take on the Dallas Cowboys. 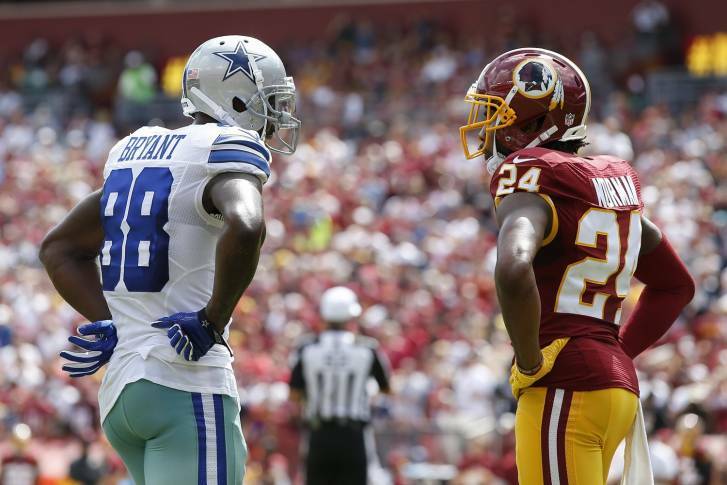 Like Washington, Dallas played on Thanksgiving Day though the Cowboys’ result was far less pleasing. Dallas lost for the third consecutive week and the Ezekiel Elliott-less offense produced a mere six points. In the three games since Elliott began serving his six-game suspension, the Cowboys have put up a whopping 22 points. The defense hasn’t fared much better giving up 92 points in the three losses. games with the Chargers, Cardinals, Broncos, and the Giants for a second time. The Redskins are headed to New Orleans with the pressure of a near must-win on their shoulders… but LP, FP, and Joe are still picking them to win this week! The injuries to the team continue to increase but there is still hope and as FP demonstrates what didn’t work last week, may work this week… so there is always a chance. Tyler and Dayton from the Who Dat Dish Podcast join the DTC boys (18:14-42:05) for twenty solid minutes to preview the game and even though both picked the Saints to win both predict a close one-score game which means it’s a toss-up. Listen, like, and share… Hail to the Redskins! Hail Victory!